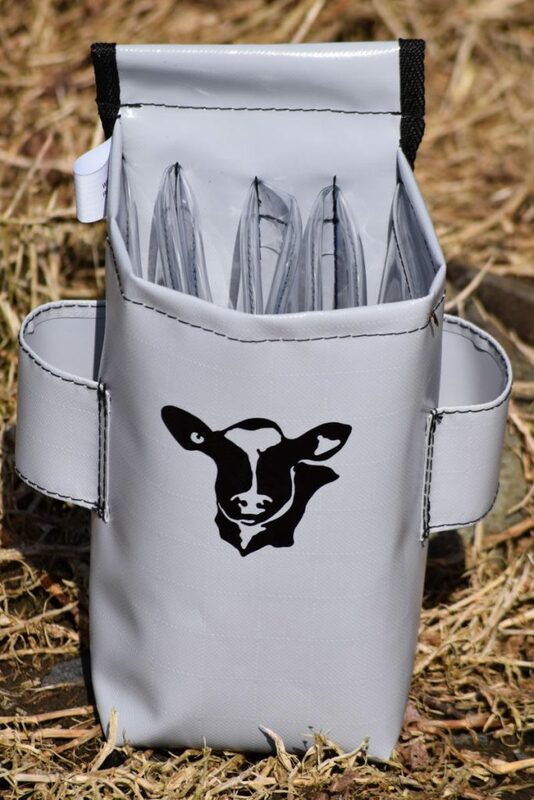 The Dry Cow system makes drying off and teat sealing efficient and simple. 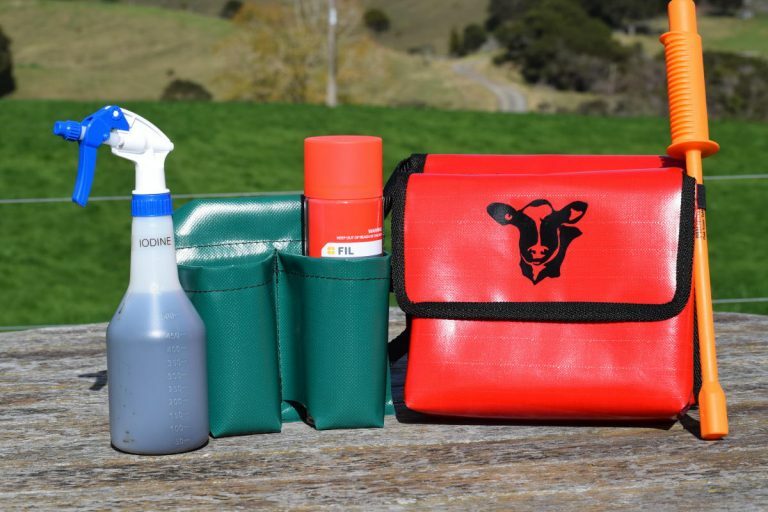 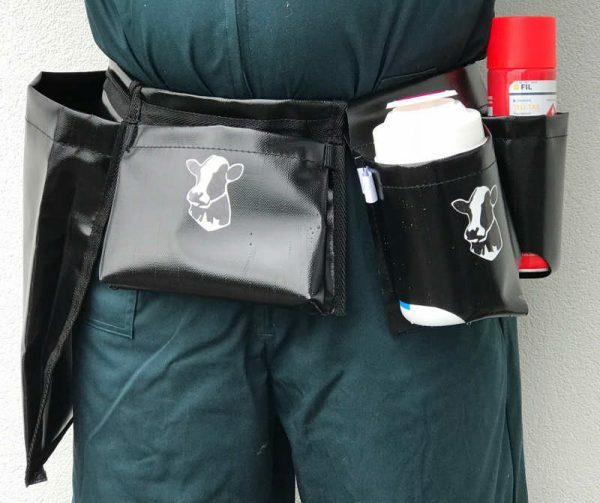 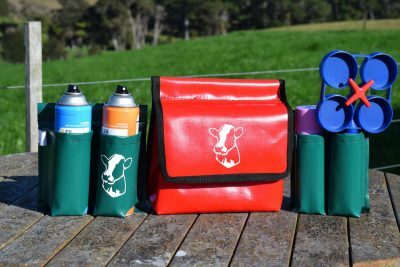 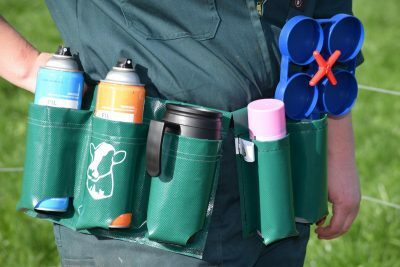 The components comprise of the rubbish pouch, the teat wipe tail paint pouch and the vet pouch. 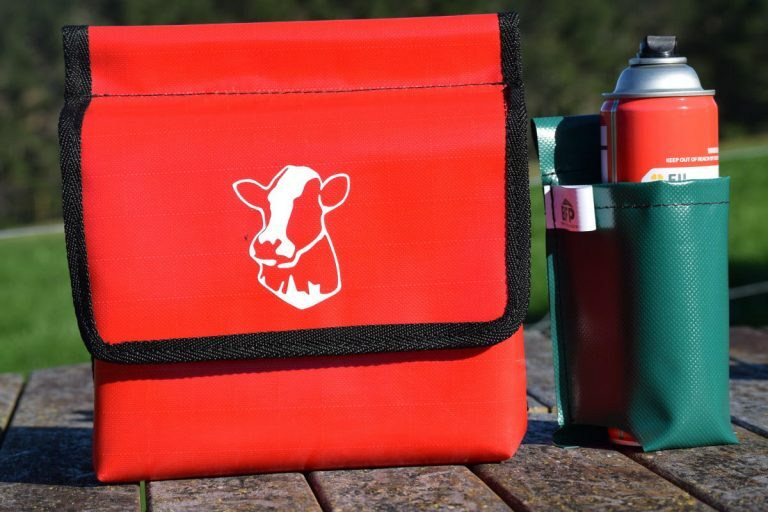 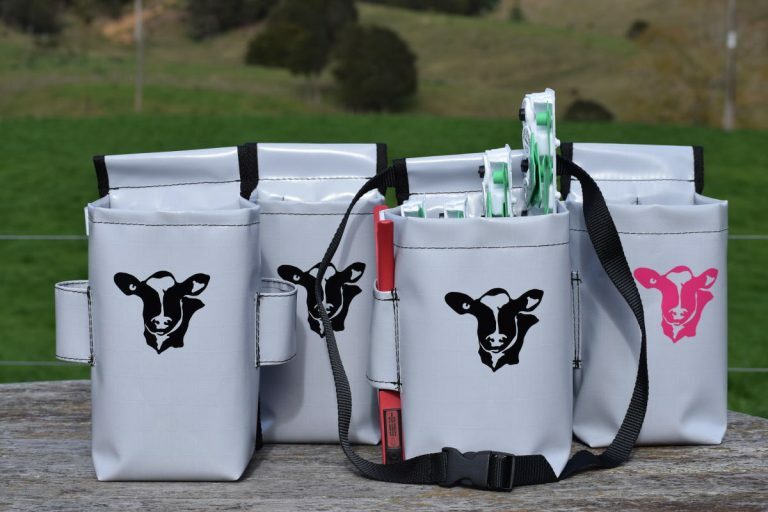 The vet pouch has an internal divider to separate the dry cow inter-mammaries and the teat seal inter-mammaries. 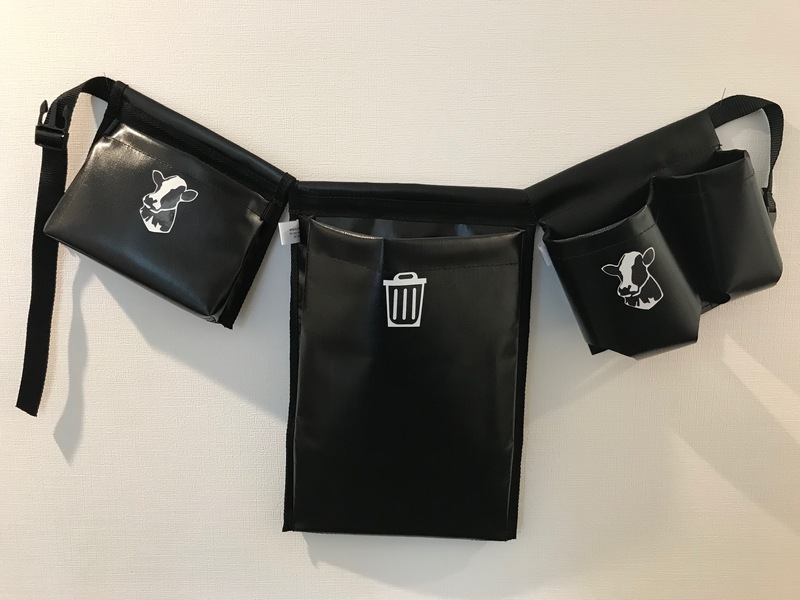 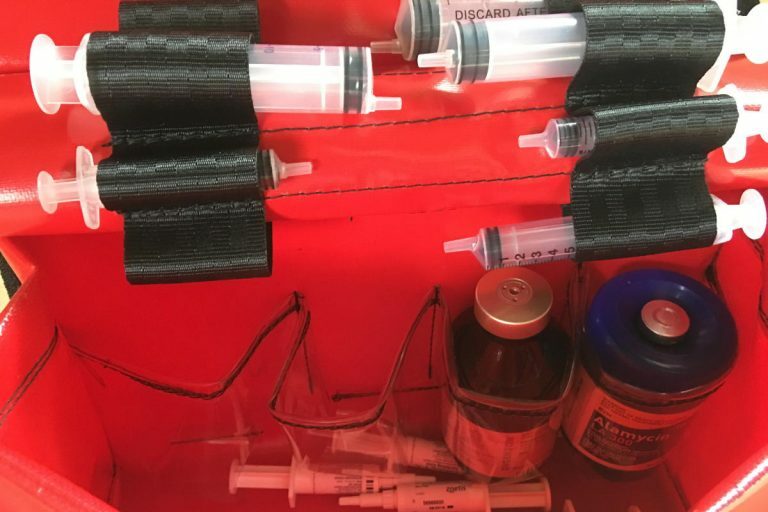 the rubbish pouch as part of this system significantly reduces the clean up post procedure and eliminates the time consuming blockages of sumps and pumps due to inter-mammary caps.